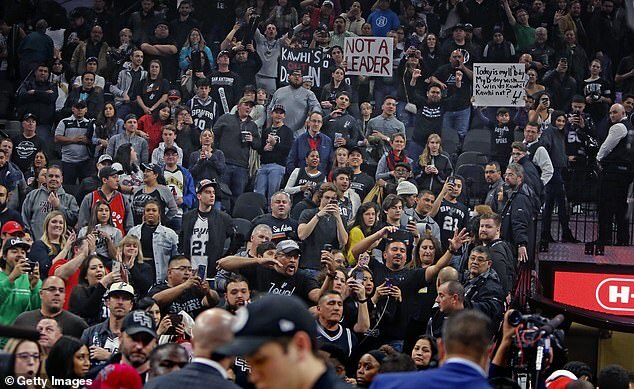 Former Spurs star Kawhi Leonard was back in San Antonio on Thursday night for the first time since he forced a trade to Toronto in July, and while he endured constant heckling throughout the game, the bigger confrontation may have taken place in the stands between his mother and an irate fan. 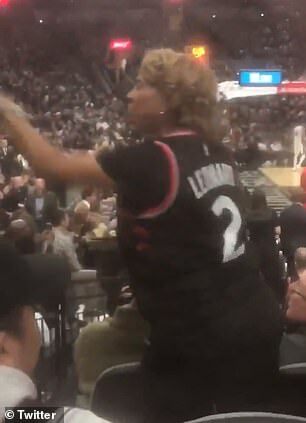 In a video that circulated throughout social media after the Spurs’ 125-107 win over Leonard’s Raptors, his mother Kim Robertson can be seen arguing with a fan who was seated in an entirely different section. Leonard requested a trade in June amidst reports of tension between his representatives and the Spurs’ front office. He played a crucial role in the franchise’s fifth NBA Finals win in 2014. The heckler’s exact words cannot be heard, and Robertson’s response is mostly drowned out by the noise of the crowd, but she was visibly upset on what was an understandably difficult night for the family. 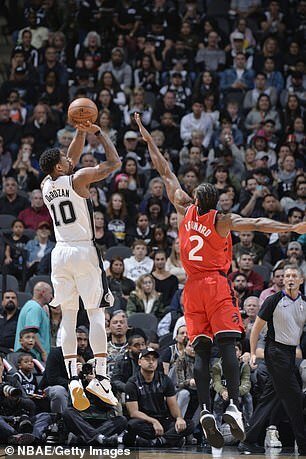 DeMar DeRozan, one of two players acquired for Leonard, propelled San Antonio to the easy win with his first-career triple-double. 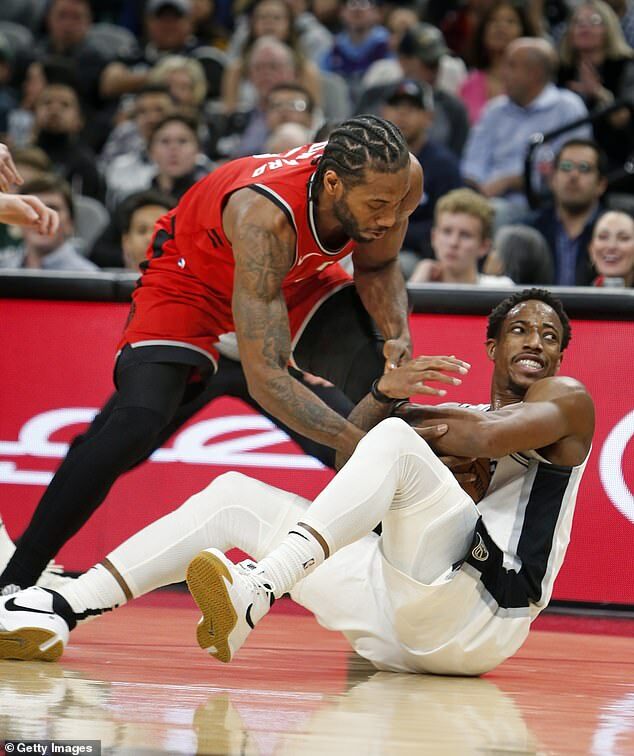 And while Leonard did scored 21 points on 8-for-13 shooting, the Raptors’ three-game winning streak came to an end in front of a raucous, hostile crowd. Leonard had to take a step back at the free throw line and compose himself amid chants of ‘Traitor! Traitor!’ and ‘Quitter! 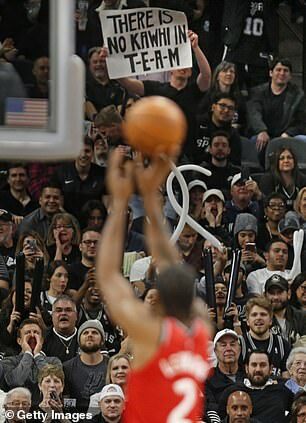 Quitter!’ from the capacity crowd that adored him during his seven seasons in San Antonio. 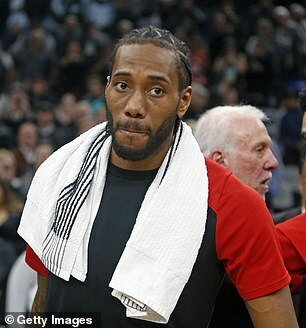 Officially, Leonard was injured for much of last season, but multiple reports questioned the legitimacy of his quadriceps problems and the California native took criticism for supposedly preserving his health before he signs his next deal, which should happen this summer. Next summer, Toronto can offer Leonard a five-year, $190 million contract, which should help smooth over any problems his mother is having in San Antonio.